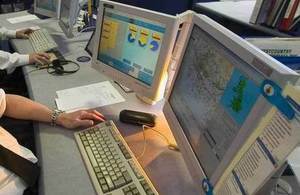 A land and sea search is being co-ordinated to find an angler off the North Yorkshire coast. A massive land and sea search is taking place off the North Yorkshire coast to find a missing angler. The man had been angling at Hundale Point, near Scarborough, but failed to return home at 9:30pm yesterday when planned. Humber Coastguard is currently co-ordinating a search and rescue operation after the man’s concerned wife informed police. A search and rescue helicopter from RAF Boulmer, RNLI inshore and offshore lifeboats from Scarborough, along with Coastguard rescue teams from Scarborough, Burniston and Ravenscar are currently on scene. The search has been taking place since 4am and we are focussing on searching an area of coastline 2 miles either side of Hundale Point and 2 miles out to sea. It is quite a complex operation, as the local coastline has very steep, craggy cliffs. The missing man’s 2 dogs are alive at the scene and are being recovered by coastguard rescue teams.